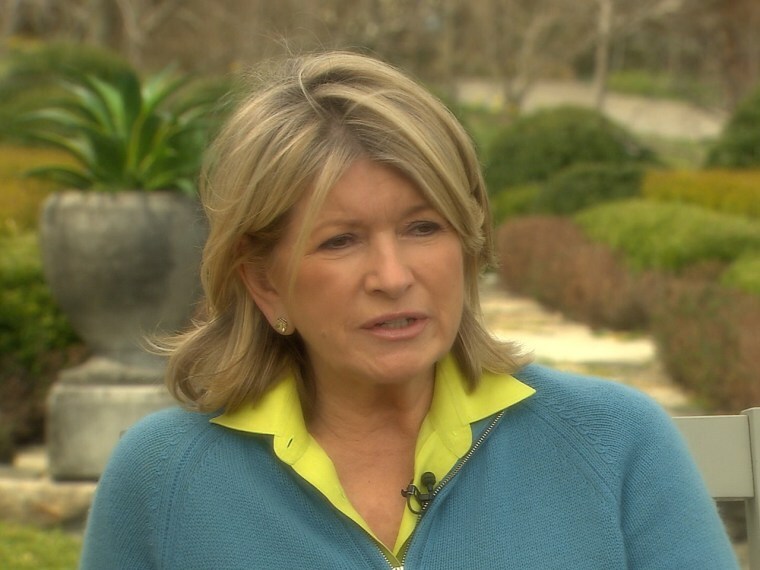 Martha Stewart said that neither her prison time in 2004 nor her ongoing legal battles today have shaken her fundamental self-reliance. In the taped interview, the second part of which aired Tuesday, Stewart didn't pretend that the prison time she served in 2004 for obstruction of justice and lying to investigators about sale of her ImClone Systems stock left her unbloodied. Besides, she added, she knew she would rebound quickly. She also questioned why some seem to see her unfavorably. “I don’t understand it. I write books. I've beautiful magazines. I've done televisions shows that are devoted to ... good living. I don’t know,” she said. Stewart thinks maybe the criticism stems from people’s reaction to the way she believes in herself. Stewart said what keeps her focused these days are her two new grandchildren. “I adore them,” she declared. She also creates projects with them in mind, including her latest one — how to make dresses out of vintage dishtowels. Her other big project these says is her memoir, which she promised will be “a good story” that won’t gloss over her prison time. “It will be a big, fat, interesting chapter. Big, fat,” she said. In the first part that aired Monday, Stewart disclosed her love of dating and how much she misses being in a relationship. She also agreed to sign up on Match.com to help find a potential partner.